Penny O’Connor is a member of the Society of Teachers of the FM Alexander Technique. She worked for ten years in theatre as a writer, performer, director, before re-training in the Alexander Technique under David Gorman and Margaret Edis. Not long after qualifying she spent a week on Alonnisos and fell in love with the island and her now husband Mo! She organized her life around the island and her work in London, firstly teaching in businesses such as BACS, and Reuters, building up a strong private practice in the City and then working in theatre schools: she taught theatre students for 18 years at the Arts Educational London Schools on the BA and MA courses in Musical Theatre and Acting. She remains AT consultant there and is visiting tutor at Associated Studios, Italia Conti and the London School of Musical Theatre. She has also taught at Guildhall School of Music and Drama , Central School of Speech and Drama, Italia Conti, Graeae educational theatre programme and with Mind the Gap theatre project. Penny was named assistant at the Queens Park Alexander Training School for 14 years, runs a mentoring scheme for newly qualified teachers and and is visiting lecturer at other Alexander trainings in London. 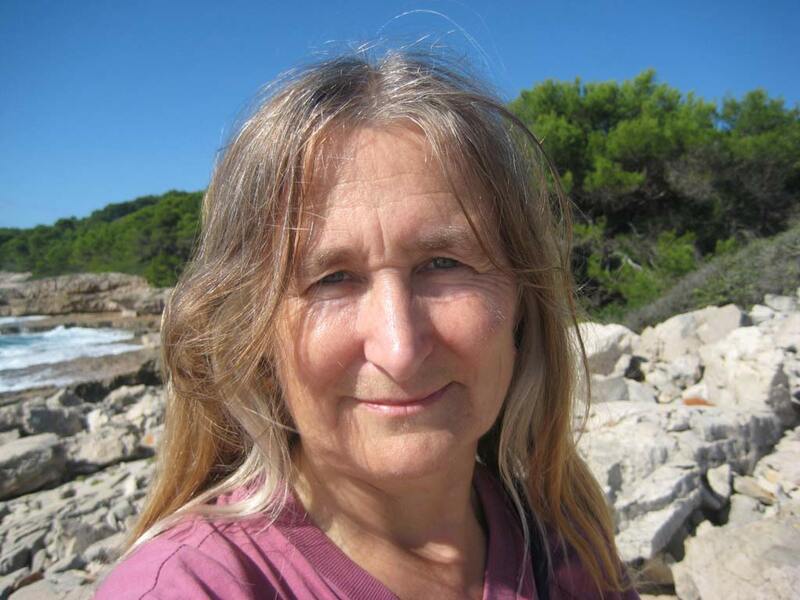 She has taught internationally : in Paris, Thessaloniki, Athens, Haifa, Istanbul, New York, the Ionian University in Corfu and led workshops at the International Congress of Alexander Technique in Oxford 2004, in Lugano 2008, in Limerick 2015. Her private practice continues to thrive in the City and Islington and latterly in Sevenoaks. 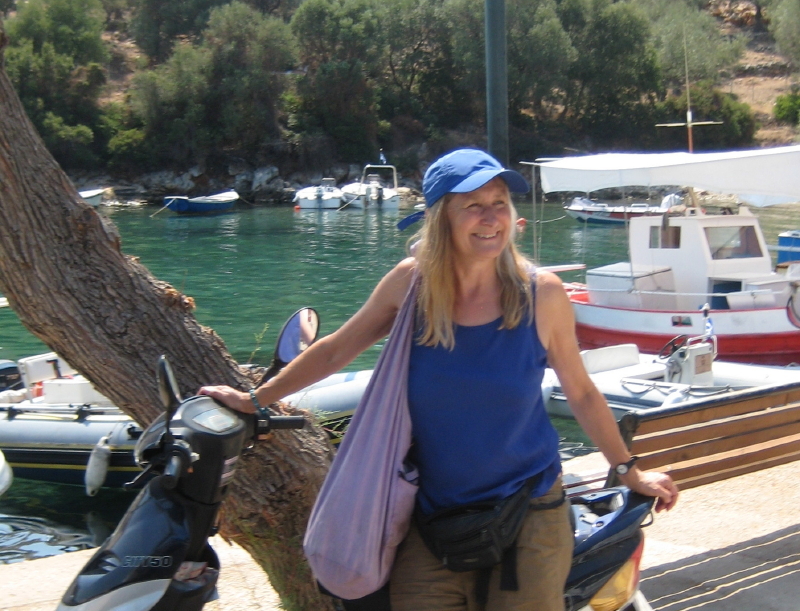 She has been teaching regularly in the summers on Alonnisos since 1999. She has studied NLP, Chi Kung, and Greek, enjoys snorkelling, gardening, singing, poetry, learning the fiddle, and running. 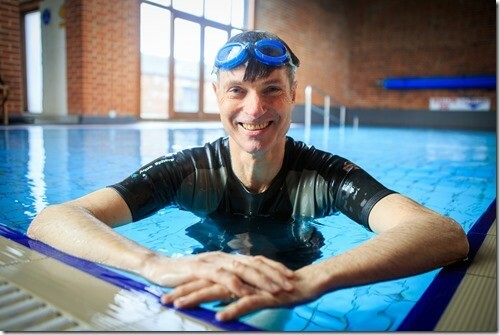 Jonathan has been working with Steven Shaw, who pioneered the Art of Swimming, for nearly 20 years. His own journey to develop a feel for the water has led to his passion for wanting to help others – at all levels – to transform their swimming and their relationship with water. As well as teaching the Alexander Technique, he is also a teacher of Tai-chi and Ch’i-Kung (sometimes called “swimming on dry land”); this informs his approach to swimming. To ward off increasing decrepitude, he walks/runs and rows as well. He is a published author of books on the Alexander Technique and, more recently, an e-book on a holistic approach to rowing technique. There will also be opportunity to take private swimming lessons with Jonathan during his week on Alonnisos. Christos is a certified teacher in the Interactive Teaching Method for the teaching of the Alexander Technique, living in Thessaloniki. He first came across the work when studying at the RCM in London in 1990’s. He is a highly acclaimed pianist, a Yoga Therapy (P.E.I.) and Rehabilitation Pilates Method® instructor. Following lessons with Penny in 2005, he decided to train up and included it in his Somatics for Musicians© initiative in Greece giving lectures, masterclasses, workshops and regular lessons to musicians, which aim at improvement of quality in movement and realization of their physical capabilities. He recently introduced a specially tailored semester course on the Alexander Technique at the Aristotle University of Thessaloniki which ran for two consecutive years under the support of the European Union Investment Funds. He loves Alonnisos and it is a great pleasure for him to combine all of his loves in one week!